nearly a year ago I posted some news around TerreStars plans to launch the slimmest satellite phone, based on windows mobile and designed by EB. On July 1st, TerreStar's TS-1 satellite, was successfully deployed into orbit by an Ariane 5 rocket allowing the first phone call to be made between two of the company's smartphones. "The satellite-terrestrial smartphone reference design represents the world's first quad-band GSM and tri-band WCDMA/HSPA device running the Microsoft® Windows(TM) Mobile 6.5 operating system, and offering integrated satellite-terrestrial voice and data capabilities"
You can also read more about this on WindowsForDevices.com. As the YouTube link is broken there and for those interested here's a video showing the launch of the Ariane 5 rocket on July 1st. as you know, after successfully building your image, your Release Directory holds a whole lot of files. The question is which of these files will be part of your image and which ones won’t? Only the files that are defined in the MODULES or FILES section of the numerous .bib (Binary Image Builder) files in your system will be part of your image. But don’t worry, you don’t have to look though all .bib files there is a much simpler way: in the Make Image step of your build system all previously filtered .bib files are combined to a single .bib file called CE.bib, which contains the whole truth about your image! Only the files listed here are actually in your NK.bin image file. But keep in mind the CE.bib is a generated file and will be created every time you call makeimg so editing this file is not a good idea. If you also want to know the initial registry settings, directory structure and/or entries in the CE Database of your image you can consult the files reginit.ini, initobj.dat and initdb.ini respectively. Keep in mind that these files are also generated in the Make Image phase of your build system. If you are running Windows Embedded CE 6.0 and up you can simply open your NK.bin file from within PlatformBuilder and you will get a graphical representation of all the files and registry settings of your image. MS is hosting a live chat on July 28th regarding Windows Embedded CE and Windows Mobile. Unfortunately the archive hasn't been updated lately and we are currently following up with Microsoft on this issue. I’ve often been ask the question “How can I improve the boot time of my Windows CE device?” Well the first thing to notice here is that Windows CE allows you to implement your own boot concept which should be customized to the needs of your specific device! But that of course requires some knowledge about the specific device so let’s focus on all the things that effect your boot time. Well as you might have guessed, every component that loads during boot has an impact on the boot time. So it is crucial to understand where each component fits in. By that you see that bringing down the boot time is really a team effort that everyone in your team has to think about. The first thing to do would be to remove unnecessary components and registry keys. To learn more about the impact of each component you should profile your system for instance with CeLog. The next step would be to optimize your boot order. Therefore you need to know your boot phases as well as the dependencies of each component. The debug print function NKDbgPrintfW is the source of numerous trivial but impactful bugs! By using the appropriate RetailZones your performance gain can be up to 30%. To cut down your boot time even further you should de-serialize your file system mountings by disabling AutoMount and controlling the load order. Drivers and services can also have a huge impact on your boot time as they are loaded on a single serialized thread. Therefore you should not poll, loop, stall, sleep, block, WaitForSingleObject, etc. during the XXX_Init function. File and registry I/O should also be minimized during boot. Use DisableThreadLibraryCalls in DllMain to disable notifying every Dll of the creation of a new thread. You should also keep in mind that User-Mode drivers (only relevant for Windows Embedded CE 6.0 and up) have a longer boot time due to the additional overhead of the udvice.exe host process. As User-Mode drivers are also loaded serialized, having only one udevice.exe host process increases your boot time even further. Having only Kernel-Mode driver would result in a faster boot time. As you see, again it is important to know your dependencies to reduce the boot time. Well you see there is a lot you can do to improve your boot time but in order to do so you really need to know your system in and out. you might have wondered why I didn’t post in the past 3 weeks. 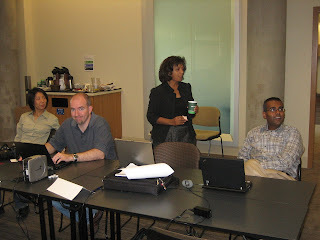 Well I was in the USA; first on vacation and then on the Microsoft Auto 4.0 “Train The Trainer” event. 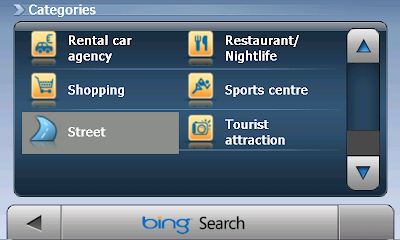 I found out that the EB Street Director navigation software which I have installed on my HTC Diamond smart phone works very well in the US as well. Microsofts Student Technology Competition "Imagine Cup 2010" will be held in Poland next year. If you missed the final round of this years competition - because you were on holiday like me ;-) - then you can find the 2009 Cup Winners here. If your interested in participating in next year's competition and have questions or are looking for a mentor, feel free to get in touch with us. So now it's back to business and in my first post I would like to congratulate Jochen who is now one of five official Microsoft Auto Trainers - world wide. Jochen has already held several Trainings on Microsoft Auto over the last year, so this isn't just a title but really does emphasize his knowledge and experience in Windows Embedded Technologies as well as his skills as a Trainer - he has been a Windows Embedded CE Trainer for several years now. So if you have any questions regarding Microsoft Auto, I'm sure Jochen will be more than glad to answer them. Some critical issues (especially the FSD, Shell and DHCP fixes for Windows CE 6.0) have been resolved so get them now! More information for each update is provided in the Readme document available after the individual update(s) has been installed. Download this set of updates for Windows CE 5.0 Platform Builder released during the period of June 1 - June 30, 2009. These updates are fixes for Windows CE operating system problems you run into during the development and maintenance of your custom platform. 090605_KB970701 - Device cannot initiate HID Disconnect to disconnect the HID keyboard. Download this set of updates for Windows Embedded CE 6.0 released during the period of June 1 - June 30, 2009. These updates are fixes for Windows Embedded CE operating system problems you run into during the development and maintenance of your custom platform. 090629_KB972305 - A problem initializing the socket for one network interface would cause the name resolution code to abort the query instead of using other available interfaces. 090630_KB971882 - This update addresses the issue with unability to resolve names via LLMNR when DNS Server is present. 090608_KB971206 - AutoIP address may not be assigned when DHCP server is not available. 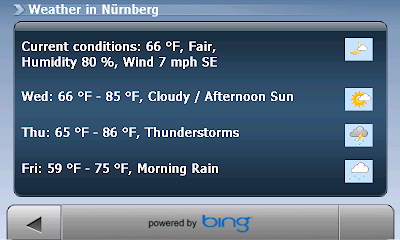 090626_KB970863 - This update allows to select the language stream when playing WMV files. 090605_KB969056 - If a suspend/resume occurs while a UDFS CD-ROM disk is mounted, the UDFS is unexpectedly unmounted and remounted on resume resulting in some issues. 090608_KB971290 - MoveFile() API may not move files properly and result in data loss. 090625_KB972213 - When the size of the FAT is larger than the buffer size and needs to be split up into multiple reads, the starting sector is computed incorrectly, throwing off the free space count. 090608_KB971817 - Mouse pointer is corrupted when connecting into Windows Server 2003 Terminal Server. 090605_KB971444 - A user is unable to change color of tap-and-hold animation. 090624_KB971439 - SMB server side may leak search handle if server folder is empty. 090602_KB971671 - Under certain circumstances WININET may accidentally close the socket on NEGOTIATE protocol. This may result in some issue when using NTLM. there is a new MSDN article about gestures for Windows Mobile 6.5. "Touch gestures describe gestures in which you use a finger or stylus to make a short, directional movement over a control or object on the screen. Most gestures are a single stroke. Therefore, they correspond to one finger–down (WM_LBUTTONDOWN) and finger–up (WM_LBUTTONUP) event pair. The exception is double tap, in which there are two finger–down and finger–up event pairs in short succession. Gestures are recognized based on finger–down and finger–up events, plus the direction, position, and velocity calculated by the gesture recognizer." Are you interessted in? Then check out this new document at MSDN. After the Pegasus post you should expect part 2 and 3 before going on with part 4. But I did "On-Site-Studies" on the Isle of Skye where Talisker comes from. Microsoft started code naming Windows CE after Whisky brands with version 4.0, code name Talisker. Talisker is the only destillery on the Isle of Skye, one of the Inner Hebrides (a group of isles) in Scottland. The destillery is located in the village of Carbost, Talisker itself is just a couple of buildings six miles west. And the Whisky? To be honest, I don't like Talisker 10 Years, it's rough and strong, but older Whiskys are better. The Windows CE .NET 4.x versions were full of new features, better IDE integration, new drivers, better debugging and a lot of advantages. But the developers didn't like the long name with the extra ".NET". Microsoft followed our wish to remove the .NET in version 5 but re-invented a much longer name in version 6. Another problem was the short time between 4.0, 4.1 and 4.2. Short after setting up a new device with the newest OS version it was old. You had to port your device to the next OS version every year. This problem was solved in version 5 with the Add-On-Packs. 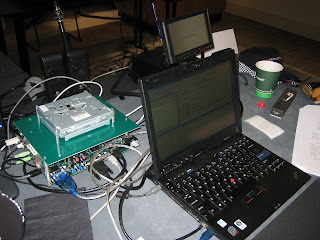 The best innovation of Windows CE 4.x was the Hive-based Registry. The Registry stores all information about the system, e.g. which drivers must be loaded or what Control Panel settings are set. On PDAs the Registry is simply in RAM because you never switch it completely off. But if you do a Cold Boot or your battery is completely empty you will lost all your settings. Under Windows CE 3.0 it was very hard to implement a persistent Registry. The Hive-based Registry is file based and located in a Filesystem on your Storage Device (e.g. Flash). Stay tuned for my postponed Alder post. "'Virtual PC/Windows CE Emulator' will cause Windows to become unstable. Windows has prevented these drivers from loading." don't be afraid, this is a known problem and can be solved. Under Start and Recovery, click Settings. In the Startup and Recovery dialog box, click Edit. Disable PAE mode by removing the /pae option if it exists. If you are using Windows XP SP2, remove the /noexecute option if it exists, and then add the /execute option. To exit Notepad, click Exit on the File menu. To close System Properties, click OK two times. If you need more detailed information about this problem/behaviour, just check the following Microsoft link. 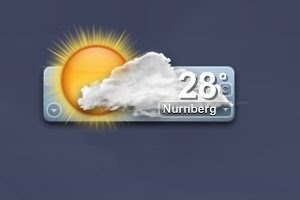 and I hope that you have also nice weather like us here in Nürnberg.